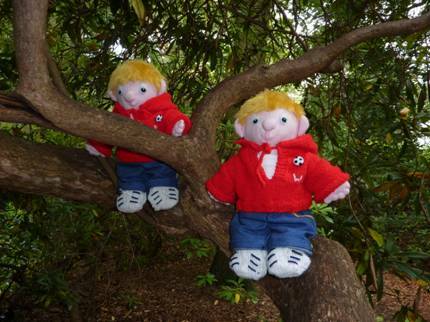 l took Bill and Bob to the Rocky Bay Wildlife Park this week. One of the animals they liked best there were the penguins. 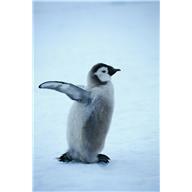 People probably find penguins so loveable because they walk on two feet like us humans. No other animal does that all the time. Auntie Alice’s dog can walk on two legs, but only for short periods of time. 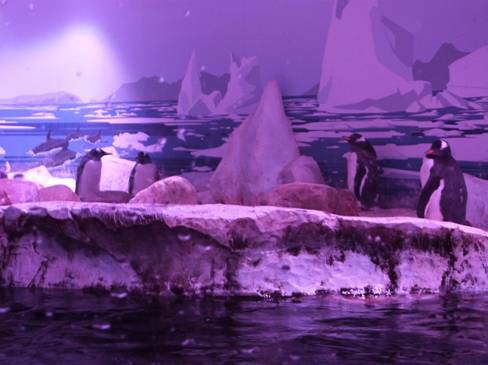 A lot of story books show penguins and polar bears living together, but the naturalists amongst you will already know that they only live in the same place when they are in a zoo. 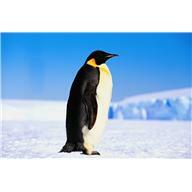 Polar bears live in the Arctic in the north, and penguins live in the southern hemisphere. 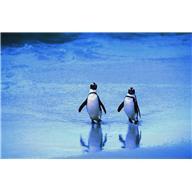 A lot of penguins live in snowy places and are very social birds – that means that they like living together. 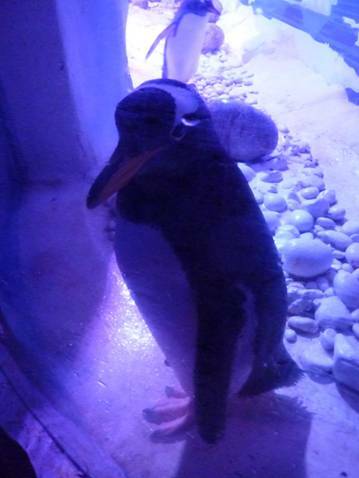 When a male penguin likes a female penguin he gives her a pebble instead of an engagement ring. 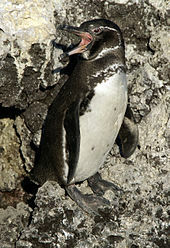 Some penguin nests are made with stones. 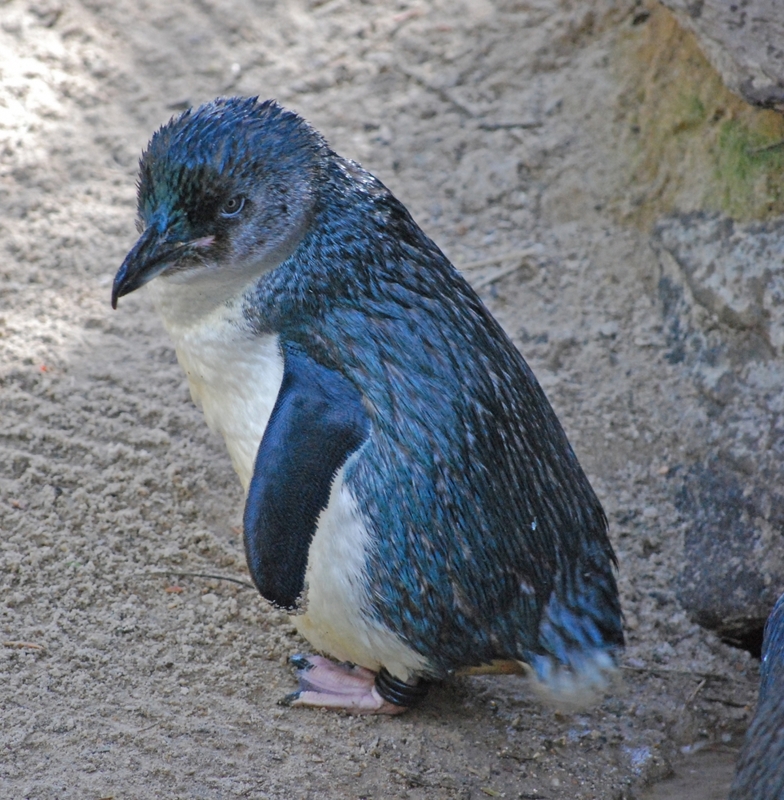 Most penguins lay two eggs at a time in nests that are on the ground. 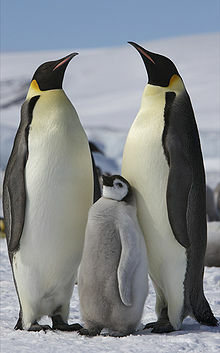 Penguin nests are grouped together in nesting areas, but king and emperor penguins lay only one egg at a time. 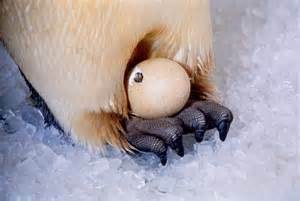 Emperor penguins incubate that egg (keep it warm) by keeping it on their feet and under their tummies. 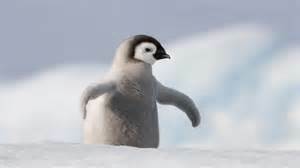 When the emperor penguin female lays her egg she passes it to her mate and goes off to look for food for nearly 120 days leaving the male standing and waiting in blizzards and freezing temperatures. 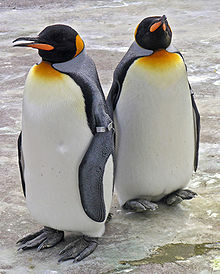 The emperor penguins are the biggest penguins, and are twice the size of the second biggest; the king penguin. They both live in Antarctica, but in different places. As the emperor males keep their small pear-shaped eggs on their feet waiting for them to hatch, they sleep most of the day to conserve (save) energy. The penguins huddle together and take it turns to stand on the outside of that huddle to protect the others from the biting, cold winds. l don’t know what they think about all day. There isn’t much to do on these frozen landscapes. Maybe they enjoy watching the spectacle of the Southern Lights display overhead? 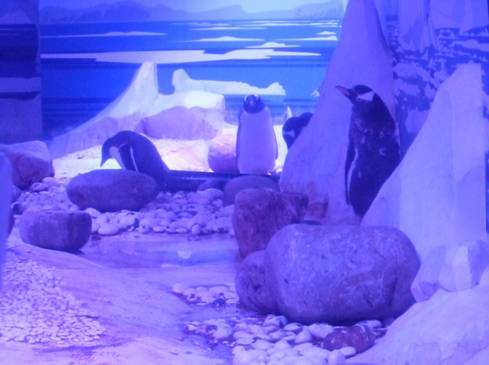 What you might not know is that there are penguins living on tropical islands as well! 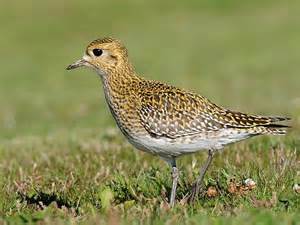 They make their nests in caves. These islands are called the Galapagos. They are islands that are a part of Ecuador in South America. 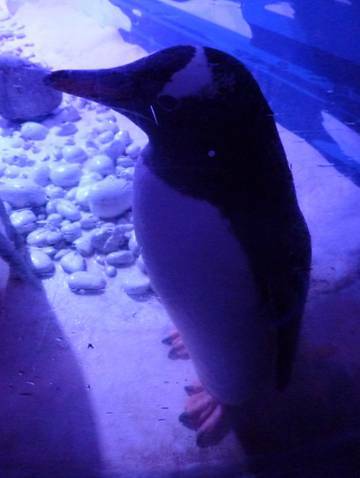 These penguins can have babies up to three times a year depending on how much food there is around at the time. They mate for life and apparently like dancing and tapping their beaks together to show affection. 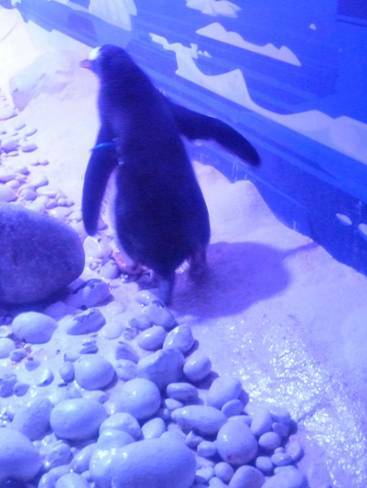 ls this penguin kissing, l wonder! But what penguins can’t do is fly. 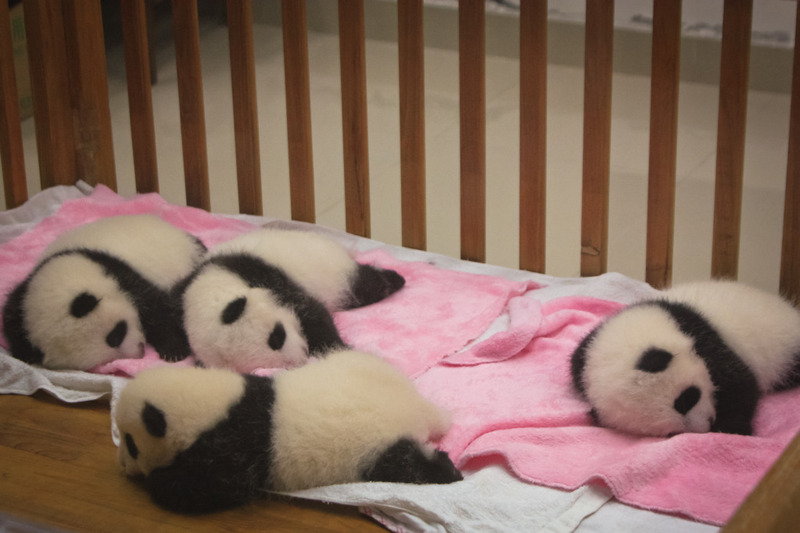 Their little wings are more like flippers. They are very good swimmers. 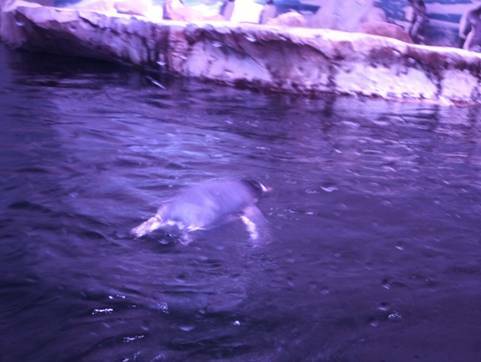 Although penguins can look quite clumsy and awkward on land as they shuffle around, their body shape is perfect for darting around in the water. 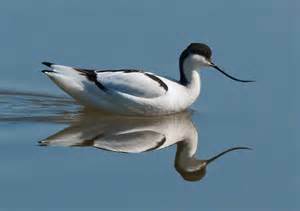 They are very, very fast swimmers; swimming up to 20 miles per hour and they can swim many miles out to sea to find food for their families. ln fact, they are so fast that when they come out of the water they shoot up through the air before they land back down on their feet. 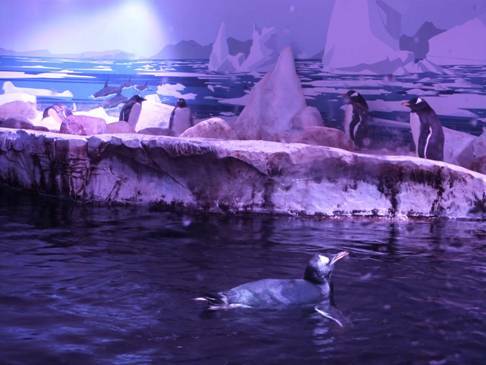 Then they walk up the beach or ice flow – or in the Rocky Bay Animal Park around their poolside. 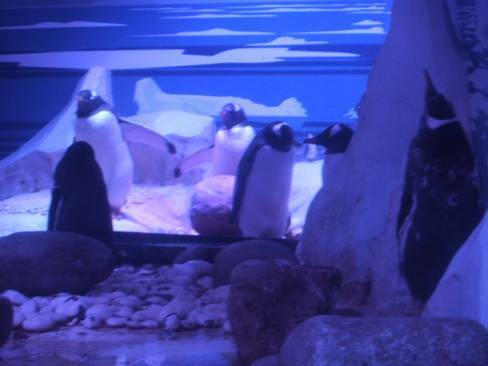 The penguins at the Rocky Bay Animal Park have a happy life. Bill: What is black white black white black white black white? Bob: l don’t know – tell me. 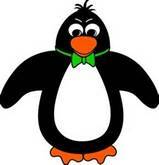 Bill: A penguin rolling down a hill! And for the news desk this week Bill and Bob have made you another puzzle. It is a gap-fill word puzzle and all the things are black and white. They hope you enjoy it. This pattern tells you how to knit my sideways penguin scarf. This is an unconventional way to knit a scarf, but you end up with a very classy looking result. 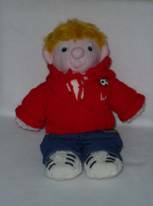 The scarf fits your Salty Sam toy, but if you want to make one for a small person you can just scale it up. Getting all the stitches onto one needle when making one for an adult might be a bit much. 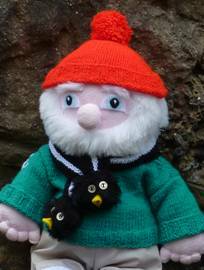 You would need very long needles; or maybe you could make it in two parts and sew them together making a very neat seam to go at the back of the neck. Then to make the penguin head ends cut four 6cm/2¼ inch circles of fur fabric making sure that you cut just the backing and not the fur pile. 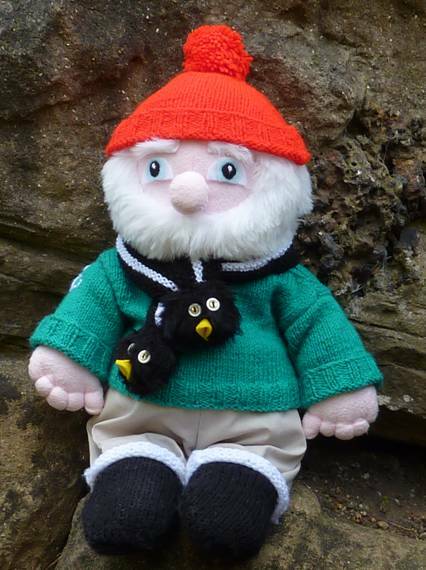 Decorate each front side with button eyes and a beak made from a triangle of felt that has a base of 4cm/1½ inches and a height of 2cm/¾ inch pinched together at the base. With the pile facing downward sew right sides together leaving a 5cm/2 inch gap at the top. Turn right sides out and slightly stuff. Poke the ends of the scarf into the tops of the penguin heads and sew in place securely. When you knit always slip the first stitch of each row onto the other needles without knitting it, except in the first row and in every first row of a new colour in order to make the edges neater. For a child’s scarf measure how long you would like it to be with a tape measure and cast on 2 stitches for every cm or 5 stitches for every inch (you can add ten stitches for good measure if you like) and then knit 16 pattern rows in black then 16 in white and finally 16 in black. lf you want to add penguin heads, you will have to scale up the size of those too. You might even want to make the penguin heads to add to ear muffs.